Hi, my name is Carol, what’s yours? Brief Summary: I have a toddler, a husband, a regular job, a dog training business, and random anxieties. I am known for obsessing over stupid things, overthinking simple things, going on opinionated rants, criticizing the Twilight series, and putting my underwear on inside out and/or backwards. I write for World Moms Blog and for my own sanity. I am left wing and left handed, with two left feet. I read a lot, eat a lot, worry a lot, and occasionally use dog training techniques on my toddler. I’m an only child. My mother raised me by the book, determined not to spoil me or ruin her one chance at raising a kid. The funny thing about being an only child is that you are both the best and the worst kid in your family. I am their biggest source of pride, but I’m also their deepest disappointment. I travelled a lot as a kid, because my Dad lived abroad as part of his job. We spent four years in the Caribbean, and I got to visit a lot of other countries. On the other hand, moving back to small-town Canada in my early teen years really sucked. I have a degree in Psychology, and also a diploma in veterinary technology, which basically makes me an animal nurse. I spent several years training service dogs for people with disabilties. I now use the skills I learned doing that on my son, Owl. I have a Beloved Dog, a bi-blue sheltie with a heart of gold, and an Inexplicably Loved Cat, a single-minded stomach covered in fur. I have a very cute, constantly-alert Babby, also known as Owl. You can learn about my babies here. I’ve been married to my Perfect Husband for three years. If his reputed perfection intrigues you, you can read about him here. In June of 2009, shortly after beginning If By Yes, I accepted the fact that I had descended into full blown depression, something that I’ve flirted with every now and then since my teens. We’re not really sure why, but we’re pretty sure it was a combination of homesickness, difficulty with coworkers, wanting a baby, and the stress of buying a house. I had a lot of difficulty finding someone who would help me, and eventually my husband delivered me to a hospital emergency room in October of 2009. I was prescribed Wellbutrin, referred to a psychiatrist, and I improved quite quickly, at least in the depression department. I was then told that I still qualified as suffering from anxiety and I was enrolled in a cognitive behaviour therapy group for people with Generalized Anxiety Disorder. At the end of 2009, I discovered that I was pregnant – something I had been wanting for a long time. My work promptly laid me off, leaving me pregnant and unemployed with an anxiety disorder. My psychiatrist, my husband, and my mother as well as myself were terrified that I would be hit by Post Partum Depression. Happily, that did not happen and I have actually felt better since Owl was born. I spent a year being blissfully happy. When I finished my year’s Maternity Leave, I found a job at a vet clinic where I was verbally abused on a regular basis, sending my anxiety levels skyrocketing. That job eventually fired me by email. I started up a dog training business with a friend of mine from service dog training days and found another job at a clinic with an awesome staff atmosphere. Things are better. I even went off of the Welbutrin. I’m tired. I’m overworked. I’m still occasionally anxious. But I’m ok. I am an introvert. To a lot of people, that correlates to “lazy”. I just get worn out quickly, especially in noisy, busy surroundings. The bath is my refuge from all noise and disturbance. Bath + Book + Carbs = Carol Heaven. However, my laziness is simply a different brand from that of most extroverts. I know a lot of people who would find it exhausting to read a long and difficult book, who hated studying, who would watch TV and neglect the essay that they had due on Monday. To an introvert, all that reading and studying and concentrating is easy! I come out of it happy and energized. It’s night clubs that wear me out! Thankfully, Perfect Husband is also an introvert, so we hide away from the world together, and read. We won’t even pay for cable tv. Who wants it? We have rabbit ears on Moby, our massive HDTV from 2002. That’s fine with us. Besides, our house gets free cable anyway. I am also socially awkward. I don’t know if it’s the introvert, or simply the only child, that makes me so terrible at meeting people and small talk and unadaptable in unusual social situations. Maybe it’s all of it. But if I’m in a new social situation, you can be sure I’ll be awkward at it. I’m sure you’ll have fun watching me flounder. It doesn’t help that I’m very eager to please, and like to do what people want me to, and to make them happy with me. Just think of me as a puppy dog. Unfortunately, then I say and do awkward things and spend weeks agonizing over the fact that now the person I liked so much thinks I’m weird. I love animals. Maybe because they have much less complex social cues than the human animal, or maybe because I simply like to be needed. But I’ve always been a huge animal nut. I have a dog and a cat, and I’m always working on convincing Perfect Husband that we need a bird. Or a rabbit. We settled on a baby. They’re cuter than birds, although they’re more work than rabbits. I love books, particularly children’s fiction. I’m an obsessive reader, and the only thing that has ever made me put down my book was childbirth. Now that the baby is here I just read while I breastfeed, which is most of the time. I also love Psychology. I like to figure out what makes people do the things they do, and I’m intrigued by the way people and animals learn. That’s why I like to train animals, because it always amazes me how much an animal can learn if you just know how to communicate what you want to them. I’m in my early thirties (as opposed to someone else’s early thirties, which would probably be confusing) and I probably look like someone you know. That’s what people always tell me. I look… common. I remind people of other people. It’s probably because I’m so nondescript. My hair is not blond, and not brown. It is also limp and fine and suffers from static cling. My eyes are not blue, and not green, but a kind of grey which can be bluish or greenish, depending on my outfit, the weather, the political situation etc. I’m overweight, in an average kind of way. I tend to gain almost all of my weight around my midsection, so I while my arms and legs are slim enough, my middle sticks out as far as my breasts do. On the bright side, Renoir would have loved to paint me, but every year I get closer to pleasing Rubens. … Basically, I’m one of those people who would be reasonably pretty if she lost some weight and had better hair. I bet you can think of at least three people in your life who would fit that description. I’m surprised you read this far. Aren’t you bored, reading this chubby, awkward girl’s self-summary? You must be. I’ll stop now, before you lose that last vestige of interest and click over to You Tube to watch people with yodelling cats. Wondering why I named my blog what I did? There’s a vague explanation here. We have alot in common. The animal part definately. I’m not an introvert, but I am scocially awkward. Picture a 1 yr old lab. I go full throttle into stuff and end up saying or doing something stupid. I really liked your post on meeting sweet/salty kate. I think I read that far because I’m the nondescript girl people are always confusing you with – the American version. I was anyway, until I experienced the loss that connects me to sweet | salty kate, which brought me here. So. There’s that. I’m so sorry for your loss, nondescript sister-twin. i love books, not tv. i love peace, not party. but i can still be ok if i need to watch tv or go to party. what i’m actually saying is we’re ok, as is. that some extrovert finds hard to reach? then we must be somehow good to be with. I’m an introvert, but I think I’m also lazy. Maybe I just lack motivation. Those are different things, right? It’s always exciting to meet someone else who likes their husband. We appear to be a rare breed. Have you read ‘The highly sensitive person? It’s a book which explains why some people are introverted and easily overwhelmed by their environment. No, I haven’t! “The Introvert Advantage” is a good read, though. I found you via Kloppenmum and have enjoyed browsing around your site. For a bit of background, I also have depression and anxiety and have dealt with them to an extent as long as I can remember, with it getting bad soon after marriage and severe immediately after having a baby. I’m also somewhat an introvert and somewhat bookish. It really, really, REALLY does! Sweet, easy blog topic. Thanks! I am loving you. (Just came across you for the first time.) I’m so glad you put all that info about yourself into this post, and it wasn’t the least bit too long or boring. I’m a lot like you too in many ways, being a Type 9 on the Enneagram. To me you sound like a Type 9 as well. And your PH makes me think of Type 2, maybe with a 1-wing. Have you read about the Enneagram? I love your blog. i can relate to you on a lot of levels.I am a bcba, studied psychology,love love love animals, get tired easy and also have general anxiety disorder.what brought me to your blog was when I was researching sleep with infants.my two-month-old is very similar to your little guy in the sense that he will not sleep during the day. When I look at pictures of your little guy at this point it’s uncanny how much he resembles mine with the big wide open eyes.everybody tells me my little guy is so alert to he sleeps usually during the night, But is up all day. Do you feel the lack of sleep resulted in the speech delay? I am so worried. He even looks out the window on drives!! Sleep baby!! I am delighted to meet you! You and I clearly have a LOT in common, and I hope you come back to see me often! Nope, Owl has hit all of his milestones, and is chatting up a storm. I think it may be related to his constant low weight, because I think he burns calories constantly, but otherwise his alertness doesn’t seem to have done any damage. Oh that is such a relief! I was worried about it. My dh says i am worried too much but working with children with autism has made me a bit anxious. Your dear owl babby is a very happy boy. I hope the same for my little guy! I forgot to mention that I am an only child too! Yes, I will follow your blog; I love it! You must be my long lost twin :p I think GAD and “worries too much” are synonymous. You sound intriguing. I am an extrovert and love meeting new people. I love to read, always have, but I also love watching TV. I love animals too, we have a two year old Bichon-ShihTzu, in addition to our two teen daughters. 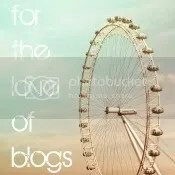 I just found your blog through the Worldmoms blog and am excited to read your posts. I came across your blog by accident while looking up information on the book “Mortimer”. I am just curious. How do you define “left-wing?” and what makes you left-wing? I define myself as left wing because I am pro-choice, pro-gay marriage, anti-big business, and would rather pay higher taxes for more social programs. I think that lines up with standard definitions of left wing.